Readers relive one of hockey's most exciting seasons in this large-format photographic book. It's all here, from the first drop of the puck to the hoisting of the Stanley Cup. Action shots and quiet moments feature gifted players like Sidney Crosby, Nicklas Lidstrom, Jarome Iginla, Vincent Lecavalier, and Martin Brodeur. 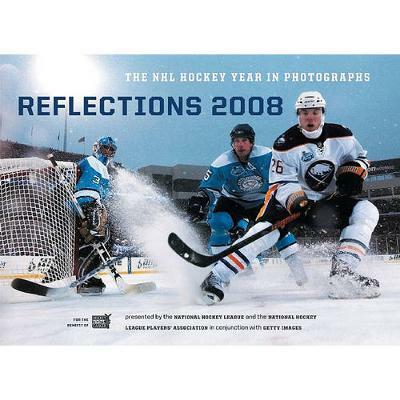 Featuring 150 high-quality photographs, an introduction recounting the high points of the season, and a full section of year-end statistics, Reflections 2008 is both a specific tribute to the season and a timeless keepsake for fans.